Recently, WestConnex has produced a salvage record of demolished houses in Campbell Street, St Peters in NSW. 11 houses have been demolished to make way for the new M5 freeway. WestConnex claims that it is committed to reusing and recycling local heritage items for use by local residents and business owners. Where possible, materials and items salvaged from heritage properties acquired for the New M5 project in St Peters will be re-used in the project urban design work. 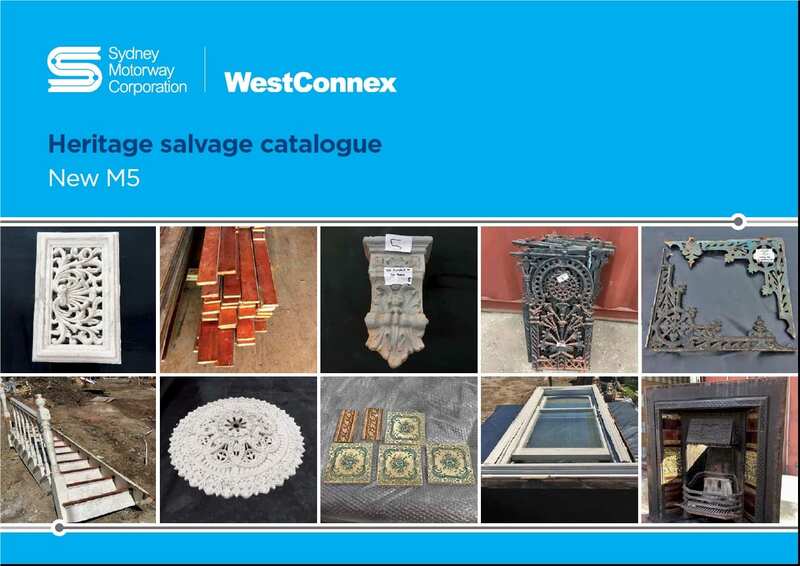 The Salvage Catalogue has been prepared to give community members the opportunity to obtain and reuse salvaged items that cannot be incorporated into the urban design and landscape plan. The items will be provided free of charge to the community. More than 460 salvaged items, including fireplaces, window frames, front doors, chimney pots and veranda railings are available for reuse. The items are currently being secured in eight shipping containers at WestConnex’s storage facility in Seven Hills until they find a new home for them. Items are listed together based on their address of origin. Instead of willy nilly dishing out the items to whosoever asks, WestConnex should establish a museum for the items. In 100 years’ time, the citizens of NSW would be fascinated by heritage building fabric dating back 200 years. It would give them a real insight into how buildings were built and how people lived back then. If WestConnex was really serious about its commitment to heritage, it would do this i.e. establish a museum of demolished items around Sydney including photographs and remnants of the trees as well as all sorts of infrastructure unearthed or dismantled/ removed etc. during excavation and demolition. Heritage 21 strongly advocates this approach.